Posted on Friday, January 17th, 2014 at 7:30 am. As pet bloggers or writers in general we should be awash in ideas, right? I’ve always heard that ideas beget ideas but on some days that simply isn’t true. I will stare at the screen hoping something will magically pop into my head and ideas will flow. If you’re a writer you understand that your Muse is sometimes a fickle mistress. Blog about an upcoming event – one you’re attending or one that you support. Blog about an event you recently attended. Did you attend a pet conference? Meet interesting people? Blog about it. Use hashtags in the post to connect with the event and the people you’re talking about. 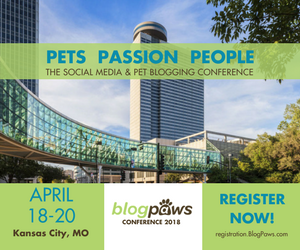 Attending BlogPaws? Start connecting with fellow attendees and blog about them! Do you have any tips or tricks you can share? Tips on how to make clipping your kitten’s nails easier, tricks to get your dog to take her medication, how to get your puppy to love his bath… you get the idea. Share what works for you and what your readers may want to try. Do you have pet products in your house (silly question, I know!) that you can review? Does your dog prefer one kind of bed over another? Do you find a particular cat nip makes your kitties crazier than another? Write a review. A Top 10 or a Top 11 (or whatever number speaks to you) list. 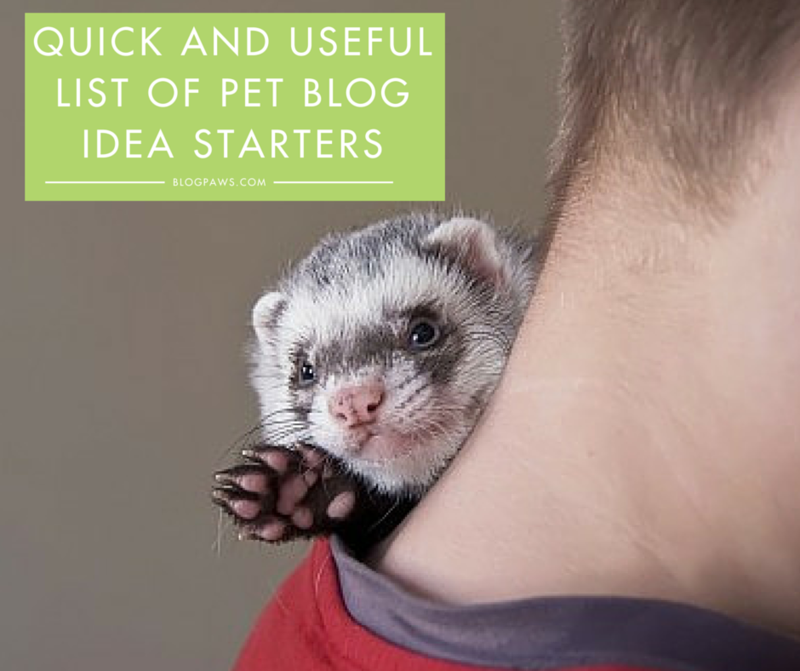 List posts are extremely popular and chances are you have some pet-related or pet-blogging-related topic on which you could base your list. Blog a how-to; hint, this could be in conjunction with your Tips and Tricks post or on a completely different subject. Google loves it when people type “how to… something” into the search bar. Feed Google what it loves. Do you have any social media or pet related tools that you love? Do you use a scheduling tool for your tweets or social media updates that simply blows the competition out of the water? Do you have a particular pet item that makes your life easier? Blog about it. Do you get involved in conversations in which people are asking you questions either pet or blogging related? Write a FAQ post. Do you have Google Alerts set up? If so, make advantage of the links you get sent and write a post about a trending topic. Do your clients or blog readers love you? Do a post of testimonials. List the testimonial and then write a bit of a “brag” about how you helped them achieve the outcomes they were seeking or thanking them for loving your post. Make a video. Offering a quick (it can be shorter than a minute) video with a quick hint or tip is a great way to break up the text on your blog and allows your readers to see your face (and bring your pet into the video with you!) Shawna Schuh from Women In The Pet Industry does a great job with these short, informative, pet-filled videos! Here’s a bonus tip! Run a poll on your Facebook page, send out a survey. Ask a few questions, gather the results, compile the answers in either a blog post or an info graphic. That’s what BlogPaws has begun doing in our Pet Blogger Influencer group. Intrigued? Come on over to the Community and join in. What tips do you have to get your blogging done quickly and painlessly so that you can get back to the task of spending time with your pet? Robbi Hess is the former BlogPaws blog manager and will be speaking at the BlogPaws 2016 Conference. She blogs at All Words Matter and is the Media Manager for Big Barker, maker of premium beds for big dogs.